Phones with built-in cameras have all but taken over the casual digital photography field, but there will always be a market for standalone cameras – particularly those that can take great photos but also have some fun, quirky features. The Sun and Cloud camera is the world’s first “self-generating” digital camera. Even if remembering to charge up all of your gadgets isn’t your strong point, you’ll always be ready to capture special moments with this camera. That’s because in addition to the typical USB charging method, the Sun and Cloud camera can be charged via its solar panel or hand crank. 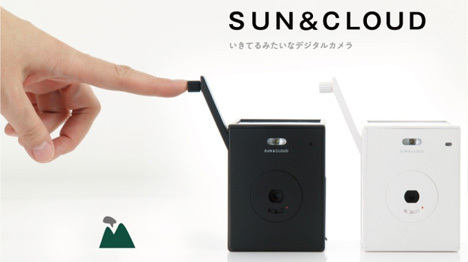 It might look like an old-timey box camera, but the Sun and Cloud from Superheadz Japan is actually quite modern in its design and technology. 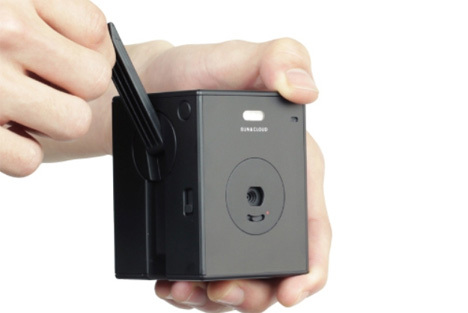 The unique camera can shoot video as well as stills, and a built-in microphone captures audio at the same time. The three megapixel lens isn’t the most advanced out there, but it’s more than enough to catch some wicked vacation shots. A total of 15 on-board filters also let you take the more dramatic, artistic kind of photos that have made you so popular on Instagram lately. See more in Camera & Video or under Gadgets. March, 2013.